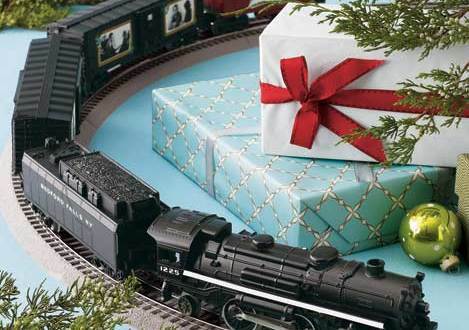 Like most (it seems) model railroaders in my generation, my love affair with model trains started with an HO train set under the Christmas tree at age 11. I came to N scale years later as a married, working person prone to job changes and moving. 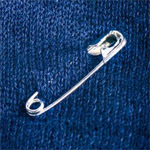 It seemed to be a good answer to the problems created by my relative mobility. So I took the plunge, armed only with knowledge of techniques common in HO. L-girder benchwork seemed the way to go, with cookie-cutter plywood subroadbed on risers topped by cork roadbed, followed by laced cardboard strips or screening to rough out shapes to be covered in paper towels soaked in plaster. You know the drill. These were more or less mainstream techniques at the time, and they work well in HO and larger scales. 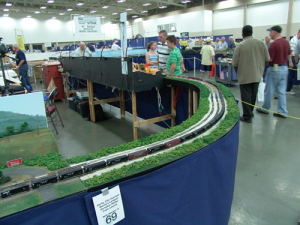 But then, nobody envisioned HO layouts larger than a sheet of plywood as “portable.” For N Scale that is a bit of a problem because one of the attractions is the potential for mobility, a concept long ago proven out by N-Trak. Traditional techniques meant that at moving time I had to trash the layout. Strip it of reusable parts and take the rest to the landfill. Bummer. I don’t think I ever actually “finished” anything because of this. An Example of Traditional Benchwork. I found, after several tries, that conventional HO techniques do not always scale down well. Traditional “open grid” L-girder benchwork has no real structure other than support against gravity; traditional fascia is dressing and provides no structural support. 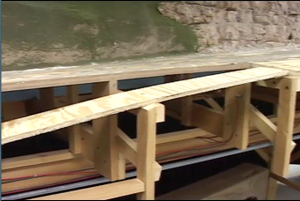 To be portable, the layout has to be built on a box (see N-Trak “box beam” construction), which provides a rigid structure that lends itself to portability and opens up your options for supporting the box (any sort of leg system, L-girders, tables are all feasible now). For weight control we need to use thinner plywoods as well as thinner structural members than an HO modeler would normally use. Homasote is an interesting material that has been used by modelers for a long time. Today it is marketed as a sound deadening material, certainly a useful property for model railroads. In my area only a few building supply companies carry it, and only in 4′ x 8′ sheets. 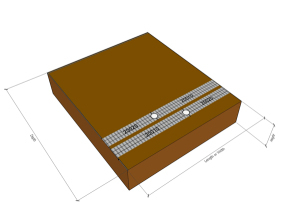 From an N Scale perspective, the product is too heavy – the thinnest (and hardest to find) versions are 3/8″, making it useful only as a substrate material; in larger scales it makes nice roadbed. I think I stopped modeling for a time largely because I was not satisfied with the solutions I had to the portability problem; and I came to loath having to destroy projects in progress. I find N-Trak too confining for me, especially since I don’t belong to a club and interact with other N-Trakers, though I thought about going that direction for a time. T-Trak seems to improve some on modular railroading generally, and it is theoretically scale independent, but because it is designed to be used a certain way to ensure interconnectability, it is inherently confining. 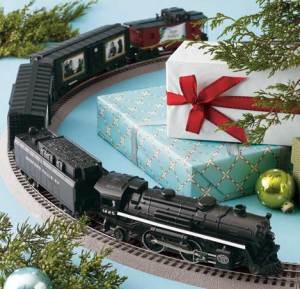 I need a more generalized method for building any style N-scale layout in a modular fashion. The theory is that any sort of layout can be broken down into portable modules with the right construction techniques. Since my last layout, the use of styrofoam and other insulating foams has become mainstream, as have a wide variety of alternative materials. Adhesives are replacing nails and screws. Lightweight wood structure with foam as the scenery base looks like a promising way to achieve my portability goals. I’ll try it out on the test loop. This entry was posted in Materials, Portability, Structure and tagged benchwork, homasote, n-trak, t-trak.